What Corporate Social Responsibility Factors Affect Your Supply Chain? What was your immediate reaction the last time you came across a news headline about unsafe working conditions or incidents of forced labor? Did you question the companies involved and who should be held accountable for employee safety, even if they were a tier 3 supplier? Perhaps you wondered if the companies have an outlined Corporate Social Responsibility (CSR) program in place? And if so, was it implemented as effectively as possible? Such questions are important to consider as CSR—while not a new concept for businesses—continues to gain increased adoption, and encompass the suppliers in their supply chain. 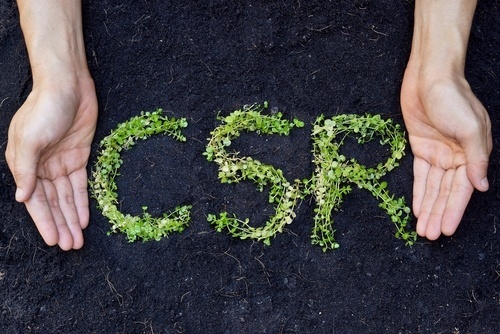 As more businesses’ continue to report on their CSR programs, companies will need to utilize the right solutions to integrate their suppliers into their CSR program and to better understand how such factors as supplier location, compliance efforts, consumer demand, and industry growth factor into their business models and CSR initiatives. Many elements go into selecting the right supplier for a business, from the supplier’s purchasing habits, lead times, product quality and cost, and consistency, to name a few. Equally important is the region or country a supplier is located in. Issues of human rights violations and forced labor continue to exist and receive increasing global awareness. As such, businesses may want to reconsider areas with high reports of human trafficking because of the ramifications on their multi-tier suppliers and overall company. They may also consider such realities in their CSR program, as extreme a situation as human trafficking may be when compared to other areas their CSR initiative may account for. Such CSR program areas can include ensuring that products are produced ethically, e.g., include fair employee pay, safe working conditions, and legal working hours. Businesses alike must also increase supply chain visibility to identify risks and labor issues based on geographic locations. In fact, governments and federal regulations are increasingly tracking whether businesses are taking the right measures to prevent such issues as human trafficking in their supply chains. The International Labour Organization (ILO), United Nations (UN), the North Atlantic Treaty Organization (NATO), and the Organization for Security and Co-Operation in Europe (OSCE) all continue to fight against human trafficking and related issues affecting global supply chains. Organizations such as the Sustainable Accounting Standards Board (SASB) also made great strides since 2012 to address the issue of sustainable disclosures in company’s annual SEC filings. However, lawmakers are taking such steps even further, following the U.S. State Department’s published TIPS report. Reps. Carolyn B. Maloney (NY-12) and Chris Smith (NJ-04) introduced the Business Supply Chain Transparency on Trafficking and Slavery Act of 2015.5 The bill would require public companies with over $100 million in global gross receipts to publicly disclose any measures to prevent human trafficking, slavery, and child labor in their supply chains as part of their annual reports to the Securities and Exchange Commission (SEC). Increasing consumer demand is another indicator which continues to heighten the need for complete supply chain visibility. More and more product consumers consider not only the quality of a product, but its company, where the product came from, who made it, and how it was made. In fact, 55 percent of global consumers are willing to pay more for products and services provided by companies that are committed to positive social and environmental impact, according to a study by Nielsen.7 And 67 percent of survey respondents prefer to work for a socially responsible company. Of those global respondents, half are millennials (born between 1980 and 2000). As millennials ask for more sustainable actions from companies in their CSR programs, their influence also extends to other areas. Social media, evolving mobile technology, and digital innovation all resulted from the needs and patterns of the millennial generation. The impact and purchasing power that the growing millennial population—projected at 81.1 million in 20368—may have on specific industries also has much relation to a company’s CSR program. The electronics industry, for example, is expected to reach $286 billion in revenue this year, according to the Consumer Electronics Association.9 Wearables, such as health and fitness devices, smart watches, and smart eyewear are all technologies that will add to the industry’s growth. And with such development, businesses may have an even bigger responsibility to ensure ethical practices and measures are taken in their supply chains. There are numerous ways businesses can take proactive steps to learn about issues affecting their supply chains and how they should be addressed in their CSR programs, protect against brand risk, and increase their visibility past Tier 1 of their supply chain. Be cognizant of local and government regulations affecting countries that are home to certain aspects of your supply chain. Before working with global suppliers or manufacturers, understand which countries are classified as Tier 1, Tier 2, Tier 2 Watchlist, or Tier 3 of the U.S. Department of State’s annual TIPS report, as mandated by TVPA. Know what efforts your state or local communities are making and what regulations are already effective that require you to take greater accountability for your supply chain. Leverage available supply chain risk prevention (SCM) resources. Identifying your company’s CSR program is a crucial step to addressing ethical issues that affect your global supply chain. For those ready to take the next step, using integrative mapping platforms can enable businesses to generate immediate score cards at both company and site level, or identify which supplier sites do/do not comply with local regulations. Build deeper supplier relationships. Work with your suppliers to create a sense of trust. Understand their core business, capabilities, and pain points that may prevent your supply chain from operating efficiently. Share relevant information they need to know, such as supplier business continuity plans, to enable them with best practices. This can ensure you receive the result you need and that your CSR program needs are met. Find out how the Resilinc CSR module can help you protect your brand with end-to-end supply chain partner visibility. Learn more about our product or download a copy of our Supplier CSR Data Sheet and learn how you can gain data that can improve your supply chain visibility. 2013 Proxy Season Preview, Environmental and Social Issues, Institutional Shareholder Services Inc. (ISS), March 7, 2013. The Victims of Trafficking and Violence Protection Act of 2000 (TVPA), U.S. Department of State. Thai Police Find Second Human Trafficking Camp, CNN, May 5, 2015. Maloney, Smith target slavery, human trafficking and child labor with bipartisan supply chain transparency bill, July 27, 2015. California Transparency in Supply Chain Acts, U.S. Department of Labor. Doing Well by Doing Good, Nielsen, June 2014. This Year, Millennials Will Overtake Baby Boomers, Pew Research Center, Jan. 16, 2015. CEA Updates CE Industry Revenue Valuation to $286 Billion, Consumer Electronics Association (CEA), April 6, 2015. Electronics Industry Leads the Way in Combating Forced Labor, Electronic Industry Citizenship Coalition (EICC), April 8, 2015.